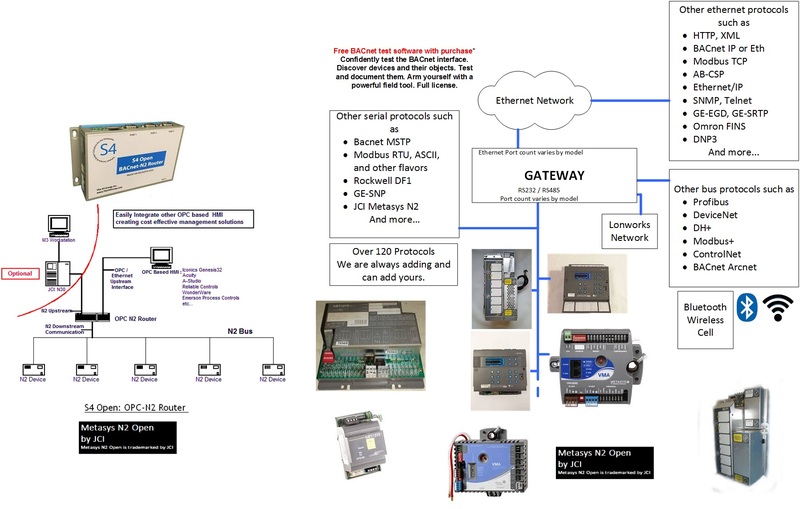 A FieldServer protocol gateway that provides data exchange between Metasys N2 and Bacnet Ethernet. The Metasys N2 by Johnson Controls network supports communications with a diverse range of devices. The Metasys® N21 by Johnson Controls network supports communications with a diverse range of devices. Many N2 compatible devices use their own version of the protocol and care must be taken to ensure that the device of interest is covered by the FieldServer implementation. N2Open-compliant devices. N2Open is a published N2-compatible protocol enabling 3rd party device vendors to integrate with N2. When acting as a Server the FieldServer Metasys® N2 driver can emulate an N2Open device only.